American teenagers may be falling behind in math, science, and ability to ascend a flight of stairs without passing out, but they've proven time and again that they're world leaders in discovering innovative ways to kill brain cells. Case in point: a half dozen California teens have ended up in local emergency rooms after extracting highly concentrated alcohol from hand sanitizer and drinking it. The rebels sans cause are turning Purell into moonshine from hell using salt and a distilling method that's easily discoverable on a place adults call "the internet." The process yields a liquid that's about 60% alcohol, or 120 proof, which means kids are only a shot or two of the stuff away from speech and mobility impairment and getting their stomachs pumped. Nothing sexier or more glamorous than having medical professionals forcibly extract your stomach contents with a tube so you don't die! Youth! All six hospitalization incidents have occurred in the San Fernando Valley area in the last few months, and doctors say this isn't the first time teens dabbled in Breaking Bad Teenz Club style antics. In the past, they've figured out how to distill alcohol from vanilla extract, mouthwash, and cough syrup, though those methods have now seemed to have fallen out of favor in the face of the much more sophisticated, more glamorous luxury high end deluxe hand sanitizer. It's truly the Cristal of hobo alcohol. At least the kids are using chemistry? Applied chemistry? Anyone? 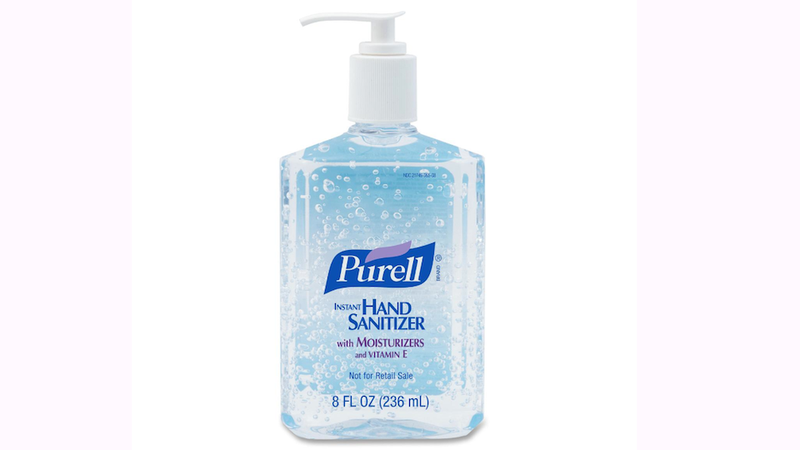 In response, doctors are telling concerned parents that if they must purchase hand sanitizer, they should purchase it in foam form so their dumb but intrepid kids won't try to extract alcohol from it, and that they should keep their hand sanitizing products under lock and key. They also recommend watching children for signs of intoxication. A drunk kid is a bad sign that something may be amiss, say experts and everyone. Meanwhile, American news media continues to lead the world in assigning "trend" status to things like five people have done. Now if you'll excuse me, I have a rainbow party to attend.